IRS Posts Updated ITIN Procedure! The Internal Revenue Service has announced updated procedures to strengthen the Individual Taxpayer Identification Number (ITIN) program requirements. The new modifications and documentation standards further protect the integrity of the ITIN application process and strengthen the refund process while helping minimize burden for applicants. ITINs play a key role in the tax administration process and assist with the collection of taxes from foreign nationals, nonresident aliens, and resident aliens who have filing or payment obligations under U.S. law. Designed specifically for tax administration purposes, ITINs are only issued to people who are not eligible to obtain a Social Security Number. The updated procedures take effect Jan. 1, 2013 and build on interim procedures announced June 22, 2012 and Oct. 2, 2012 to safeguard the integrity of the tax identification number system, while improving the refund process. Based on an extensive review and feedback from a variety of stakeholders, updated procedures are being put in place that will strengthen controls over the ITIN process while providing applicants flexibility to accurately follow the application process. The interim procedures announced earlier this year remain in effect through 2012. The IRS will maintain its stronger standard for issuing ITINs. Under the procedures, ITIN applications will continue to require original documentation or copies certified by the issuing agency. To protect the integrity of the application process, notarized copies of documents or copies with an apostille are not acceptable for obtaining ITINs. Though most of the interim guidelines have been made permanent, others have been modified following feedback from key groups. The changes will provide additional flexibility for people seeking ITINs while continuing the stronger protections. Final procedures are outlined below. For those who are applying directly to the IRS for an ITIN, original documents or copies certified by the issuing agency are required. The IRS will continue to accept only original identification documents or certified copies of these documents from the issuing agency with the Form W-7 and federal tax return attached. The documentation list includes passports, national I.D. cards, visas issued by U.S. Department of State, U.S. or foreign military identification card, civil birth certificates, medical and school records, U.S. state or foreign driver’s licenses, U.S. state identification card, foreign voter’s registration card and U.S. Citizenship and Immigration Services photo identification. A full list of acceptable documents is available through the ITIN page on IRS.gov. The IRS heard from stakeholders that it was difficult in some instances for individuals to be without documents such as passports for extended periods of time. As a result, the IRS determined that other outlets will be available to review original documentation. As part of this effort, while original documents or copies certified by the issuing agency are still required for most applicants, there will be more options and flexibility for people applying for an ITIN. These options provide alternatives to mailing passports and other original documents to the IRS. The Certifying Acceptance Agent (CAA) program will remain but will be modified. CAAs will be required to review original identification documents or copies certified by the issuing agency from applicants, spouses, and dependents. CAAs will be able to certify and then forward proof to the IRS that they have verified the authenticity of the documents supporting the ITIN application for applicants and spouses. This means they will not need to mail original documents such as passports to the IRS, a step previously required under the interim procedures. However, ITIN applications for dependents submitted to the IRS by CAAs will continue to require original documents or copies certified by the issuing agency. There will also be new requirements for the CAA program that are described later in this document. In addition to direct submission of documents to the IRS centralized site or use of CAAs, ITIN applicants will have several other avenues for verification of key documents. These options include some key IRS Taxpayer Assistance Centers (TACs), U.S. Tax Attachés in London, Paris, Beijing and Frankfurt, and at Low-Income Taxpayer Clinics (LITCs) and Volunteer Income Tax Assistance (VITA) Centers that use CAAs. The procedure announced Oct. 2, 2012 for foreign students at educational institutions to be certified through the Student and Exchange Visitor Program (SEVP) remains. The table below provides the full list of options for submitting ITIN documents. The finalized procedures are effective Jan. 1, 2013 in time for the 2013 tax-filing season when many ITIN applications are submitted along with a taxpayer’s income tax return. Later in January, participating IRS Taxpayer Assistance Centers will be available to review and certify passports and national identification cards in person for primary, secondary and dependent applicants. The first set of TACs that will review and certify documents for ITINs are located in areas where past ITIN activity has been prevalent. Additional details on participating IRS locations will be available soon on IRS.gov. For the first time, new ITINs will be issued for a five-year period rather than an indefinite period. 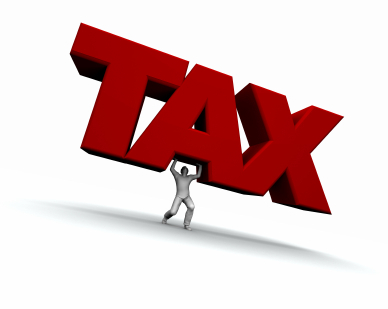 This change will help ensure that ITINs are being used for legitimate tax purposes. Taxpayers who still need an ITIN will need to reapply at the end of the expiration period. In addition, the IRS will engage with interested groups on options to deactivate or refresh information underlying previously issued ITINs. This step will provide additional safeguards to the ITIN program and help ensure only people with legitimate tax purposes are using the numbers. Having Problems Getting an ITIN? Contact the Tax Lawyers at Marini & Associates, P.A. for a FREE Tax Consultation at: www.TaxAid.us or www.TaxLaw.ms or Toll Free at 888-8TaxAid (888 882-9243). UK Press Exposes 'Sham' Companies Used To Shield The Identity of Wealthy Individuals. The UK Press is running a series claiming to expose an 'extraordinary global network of sham company directors, most of them from the UK. Nominee directors are exposed as operating thousands of offshore companies, some said to be helping UK residents avoid tax and conceal their assets. They have published profiles of some wealthy individuals who have used offshore companies to conduct significant business and property transactions in the UK. Have unreported income from a Foreign Bank Account??? Feeling Exposed??? Contact the Tax Lawyers at Marini & Associates, P.A. 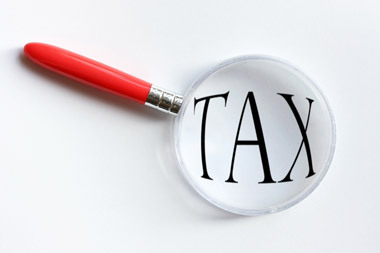 for a FREETax Consultation at: www.TaxAid.usorwww.TaxLaw.msorToll Free at 888-8TaxAid (888 882-9243). Mexican FATCA Agreement Requires New Reporting By BOTH Mexican & US Banks! We first posted Mexico Becomes the 3rd Country to Sign a FATCAAgreement on Tuesday, November 27, 2012. The Treasury Department has now posted this agreement on its Website. (7) In the case of any account not described in subparagraph (5) or (6) of this paragraph, the total gross amount paid or credited to the Account Holder with respect to the account during the calendar year or other appropriate reporting period with respect to which the Reporting Mexican Financial Institution is the obligor or debtor, including the aggregate amount of any redemption payments made to the Account Holder during the calendar year or other appropriate reporting period. (6) The gross amount of other U.S. source income paid or credited to the account, to the extent subject to reporting under chapter 3 or 61 of subtitle A of the U.S. Internal Revenue Code. This will affect not only US taxpayers who have unreported Mexican bank income but it will equally adversely impact Mexicans who have unreported income from deposits with US Banks. We discuss the adverse impact on US Banks in our post "Florida Banks Explain 2013 IRS Reporting Rule For Foreigners;" where we discuss that thse new reporting rules which go into effect Jan. 1, 2013 have raised privacy concerns among some international account holders which have cause many Foreign Depositors with US Banks, especially Banks in Florida, to move several million dollars of Deposites to other jurisdictions, since the new regulation were passed in April. Are you a US Person with a Foreign Bank Account??? Are you a Mexican Person with a US Bank Account??? Pictet & Bank Frey Added to Widening U.S. Probe of 13 Swiss Banks. 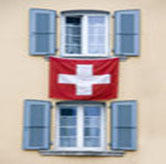 We orginally posted on Tuesday, May 8, 2012, Swiss bank Pictet gave data to U.S. in tax probe regarding Swiss bank Pictet statement that it handed over bank account details to U.S. authorities probing cases of tax evasion, as a newspaper reported it had accepted funds from two former UBS clients suspected of having cheated on taxes. Now Pictet & Cie., Switzerland’s biggest closely held bank, said its wealth-management business with American clients is the subject of a “general inquiry” by the U.S. Department of Justice. Pictet plans to cooperate “as fully as possible” with the U.S. authorities, the Geneva-based private bank said in a statement yesterday. Pictet reported the DOJ inquiry after Der Sonntag newspaper yesterday said the wealth manager and Bank Frey have been added to a probe of 11 other Swiss financial firms. Pictet, which manages 281 billion Swiss francs ($302 billion) for clients worldwide, said in May it wasn’t under investigation by the DOJ after an indictment of three Americans in Phoenix last year showed the bank was used to set up secret accounts not reported to the IRS. The Swiss Financial Market Supervisory Authority, known as Finma, has communicated with Pictet and Bank Frey regarding data delivery to the U.S., according to Der Sonntag. Unreported Income from Swiss or Other Foreign Banks? Contact the Tax Lawyers at Marini & Associates, P.A. for a FREE Tax Consultation at www.TaxAid.us orwww.TaxLaw.ms or Toll Free at 888-8TaxAid (888 882-9243).